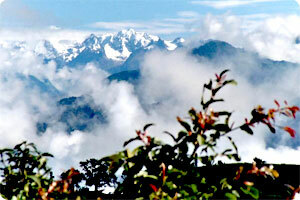 The Himalayan country Nepal offers innumerable trekking trails for Himalaya trekking in Nepal. Besides the Nepal popular trekking trails , Himalaya Journey Trekking & expedition arrange the trekking in non touristy trekking trails for trekkers who wish to visit less trekkers / travelers and virgin trekking trail of Nepal. Still , Nepal has lots of non touristy trekking trails such as Ganesh Himal trekking, Rolwaling trekking, Rolwaling Tashi lapcha pass trekking, Sailung trekking, Sailung Timal trekking, Panch pokhari trekking , Bhairab kunda trekking, Dudh Kunda trekking, Churen Himal trekking, Kalinchowk trekking API Himal trekking offer unique adventure trekking in Nepal Himalaya where you will enjoy with panoramic Himalayan views, Lush valleys, beautiful landscape , sharing information and culture with rural people, living style of village people , wildlife adventures. Only few tourist make trekking in above non touristy trekking trail in a year but it is really difference and fantastic experience in Himalayas.